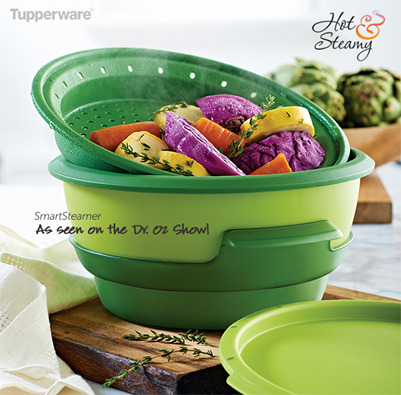 The Smart Steamer is on sale now! •makes colour of food more vibrant! Get it on its own or as part of 7pc set including six Vent'N'Serve containers. Or--use your host credits to get it free when you host a Tupperware party with me!